Grade Level Reading Target Archives - Pride Learning Co.
Once a child is able to decode and recognize words in print, it is crucial that they also gain an ability to read smoothly and fluently. Stumbling and hesitating over words will undermine reading comprehension because by the time the child gets to the end of a sentence he or she will have completely forgotten what was at the beginning of the sentence! Using a timer have him or her read this text for one minute. Probably the easiest ways to determine if a book is at an appropriate reading level for your child is the Five Finger Rule. Have the child begin reading a chapter, and put down one finger each time he struggles with a word. If he reaches the end of the page before you get to five fingers, the book is written at a comfortable level for independent reading. 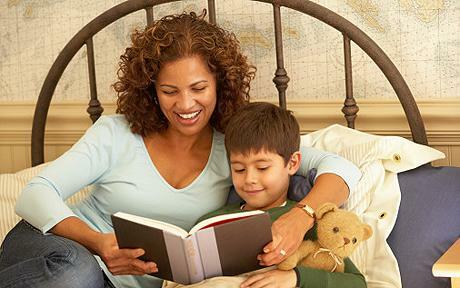 One approach to practicing reading fluency is for the child to repeatedly read the same passage or text either with a parent or teacher three to four times. Rereading text gives the child multiple opportunities to read unfamiliar words. After repeated reading, those words become familiar. The child should practice rereading aloud texts that are reasonably easy for them and at their reading level and include words that the child already knows and can decode easily. A text is considered at reading level if the child can read it with 95% accuracy. This text should also be relatively short consisting of 50-200 words. First, the parent or teacher reads the text aloud to the student. Then the student reads the same passage to the adult or chorally with the adult. Finally, the student rereads the passage again independently.